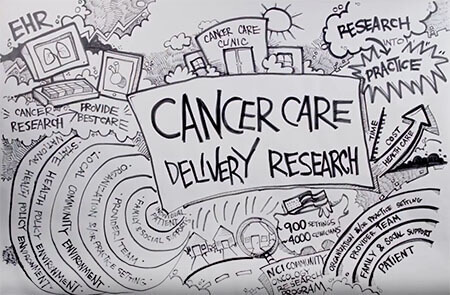 An NCI video released in July highlights Cancer Care Delivery Research (CCDR) in the NCI Community Oncology Research Program (NCORP). Dr. Ann Geiger, Deputy Associate Director of the Healthcare Delivery Research Program within the NCI Division of Cancer Control and Population Sciences, and lead CCDR scientist for NCORP, describes why cancer care delivery research is conducted in the program. The research examines how patient and clinician behavior, organizational structures, health technologies, and financing approaches can influence the availability, quality, cost, and outcomes of cancer care. “Cancer care delivery research is incredibly important because all of the discoveries we are making in cancer treatment will not be fully beneficial to the American public until we make sure that patients have access to these treatments in their local communities,” Dr. Geiger said.